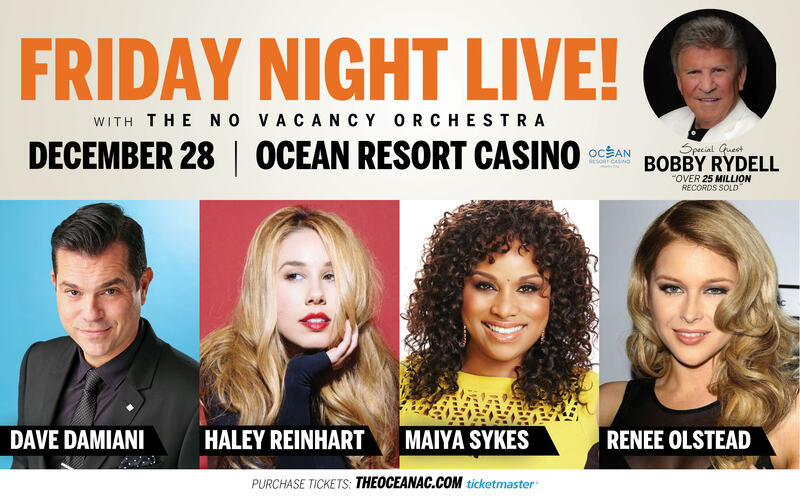 Dave Damiani returns to Atlantic City with his amazing NO VACANCY ORCHESTRA! This time at the Ocean Resort Casino (formerly the 2 billion dollar Revel) with LEGEND BOBBY RYDELL! He will also have Haley Reinhart, Maiya Sykes and Renee Olstead. This live orchestra show will be a night for all to remember. Damiani penned and performed the "official anthem" of Atlantic City "It's Pure AC (Atlantic City).